My sister-in-law, Donna, brought to us a huge bag of lemons from the tree in her backyard. In Louisiana, this is the time for the lemons to produce. This was the perfect gift since my hubby loves lemon in his iced tea. He got industrious and squeezed the entire bag and saved the juice for later use. This morning he requested that I help him "use up" some of the juice by baking a Lemon Meringue Pie like my Momma used to do. My first thought was: "Oh boy, what a request!" I remember my mother working for several hours at a time to produce this delight, but my Dad loved it and she persevered. 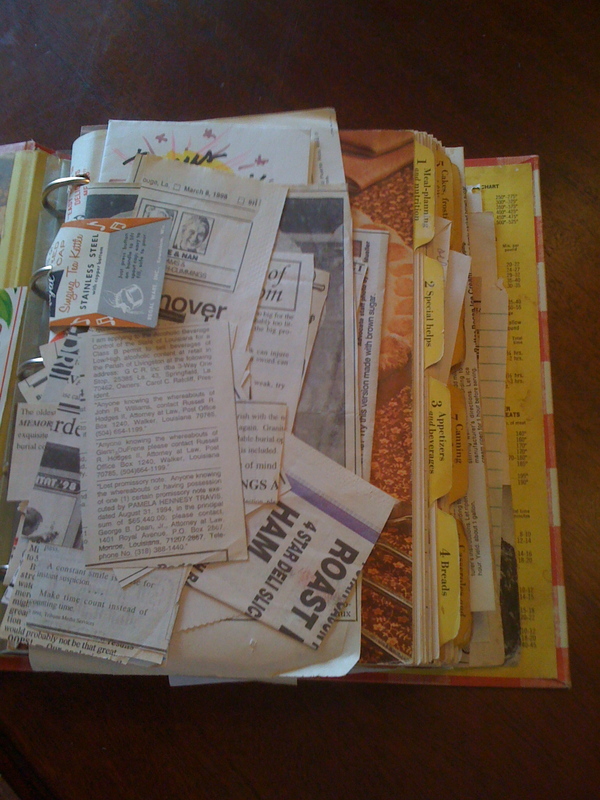 I dug out the cookbook that she had used and got to work. The recipe stated that it takes about an hour to make the pie, so I wasn't too discouraged. It's been about two months since we laid my Mom to rest in the cemetery next to my Dad, so I thought about her as I prepared my pie. I remembered some tips she gave to me as I watched her bake when I was a kid. 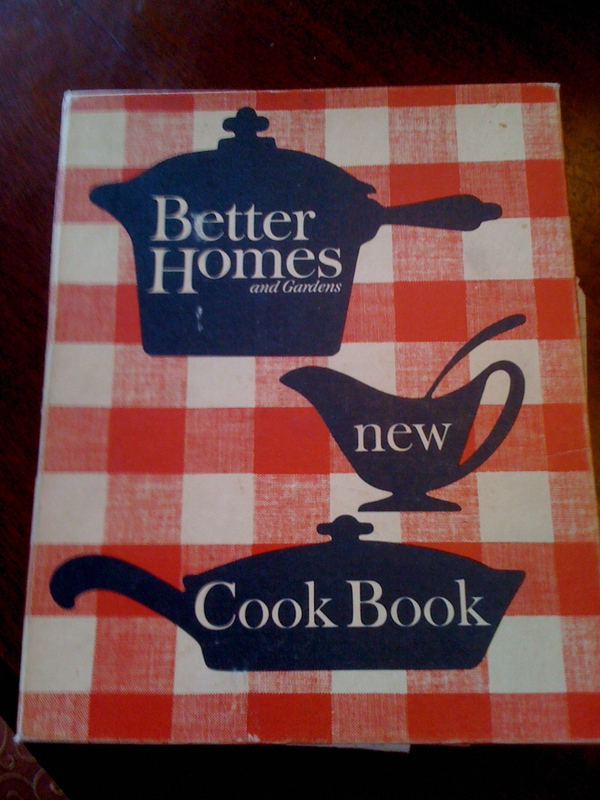 It is important to note that the cookbook was published in 1953 and was the only one I ever remember her using. I laughed as I opened it. It was full of handwritten notes and newspaper clippings. For such an old book, it is still in pretty good shape. She used it for baking, but for everything else she had her own recipes, so I am supposing this book was taken care of well. I don't ever remember that she bought books, so I am thinking this might have been a gift. That question will remained unanswered. Here is the recipe for Lemon Meringue Pie by Elise with a few adaptations by Dot along with the thoughts and tips that came to mind as I was preparing it. The first step is to organize all the ingredients. Once beginning the filling, the timing is important. 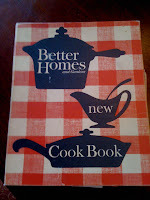 The Better Homes and Gardens book supplies detailed instructions for making a pie crust. I do know how to make a pie crust and am pretty good at it, but I have a secret that I will now share with you. 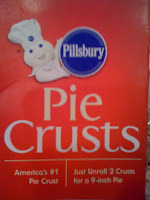 I use ready made crusts that can be found in the refrigerator section of the grocery store. I always use Pillsbury brand. They cost a little more than the store brands, but they are worth it. I have passed them off as my own for many, many years! They can be frozen, too, so you can always have them on hand. Prepare the crust and bake at 425 degrees F for about 15 minutes. Remove from the oven and allow it to cool while making the filling and meringue. Make the crust appear to be homemade by crimping the edges between your fingers. My mom taught that crimping technique to me as she made her own crusts, but it works for me on my cheater crusts as well! Reduce the oven to 350 degrees F.
-Remove from heat and stir about 1/2 cup of the hot mixture into the egg yolks. Then pour the yolk mixture back into the saucepan and stir until well blended. Use low heat this time. -Add 2 Tablespoons unsalted butter to the mixture and cook and stir for about 5 more minutes. -Pour in lemon juice and zest and stir well. Remove from heat and make the meringue. 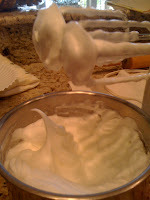 -In a small mixing bowl, combine the egg white with a pinch each of Cream of Tartar and salt. 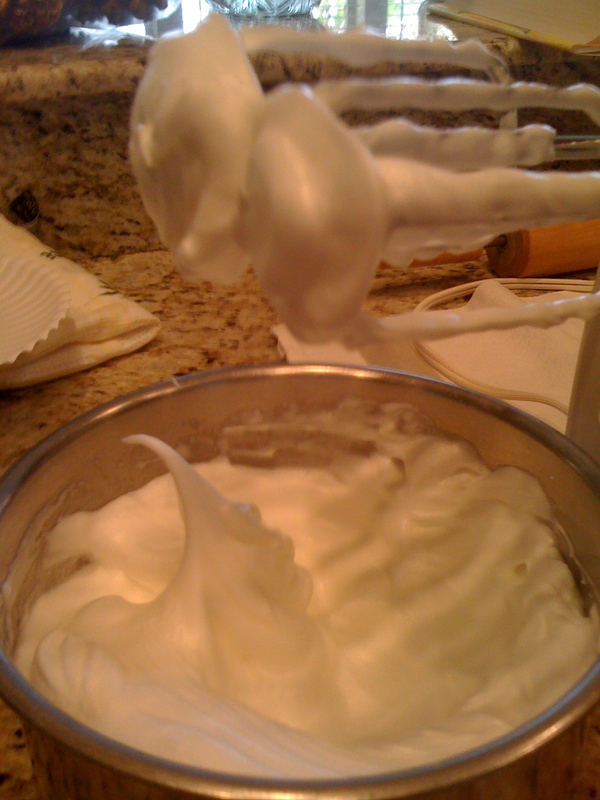 Use the highest speed of your electric mixer and beat the egg whites until frothy. -Pour the warm filling into the prebaked crust. 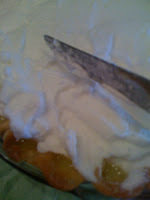 -Top the filling with the meringue and use a spatula or table knife to spread it over the edges of the filling. Momma always used the table knife because it was easier to manipulate the meringue with the skinny surface of the knife. 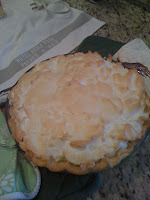 Also, you can "pretty up" the pie by flipping the meringue with the knife to make small peaks on top. I have tried using a spatula, but resorted to the knife. Again, she was right! -bake the pie for about 10 minutes or until the meringue is golden brown. Allow the pie to cool and then place it in the refrigerator until serving time. Enjoy and as you eat the pie, remember that it is a special dessert and is served as a special treat for special people! Aaaaah ... beautiful pie, Dot! I'm not a fan of lemon meringue pie, but I loved reading the recipe interspersed with notes and comments from your mother. Thanks so much for sharing! 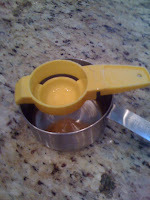 I used to be a "Tupperware Lady," and I can tell you that the egg separator was never "sold" by Tupperware. It was used as a prize at the Tupperware parties I held. I still have mine -- more than 30 years old! Thanks, again, for another wonderful post! No wonder I treasured my egg separator so much! It was a prize! Good to know! My memory had failed me on that point! Thanks for reading, Sandy! What a great story! I enjoyed all the hints and tips you shared. I have an extremely easy lemon pie recipe that takes only half that time. It probably doesn't taste as authentic as yours, but it's still delicious. Melanie, you must share! I am all for saving time. The "Memory Pie" with the cheater crust. Baking is such a labor of love. So glad you are keeping the spirit of Elise alive in your capable hands. I, too, have that Tupperware egg separator from the late 70's. Thanks, Marilea! 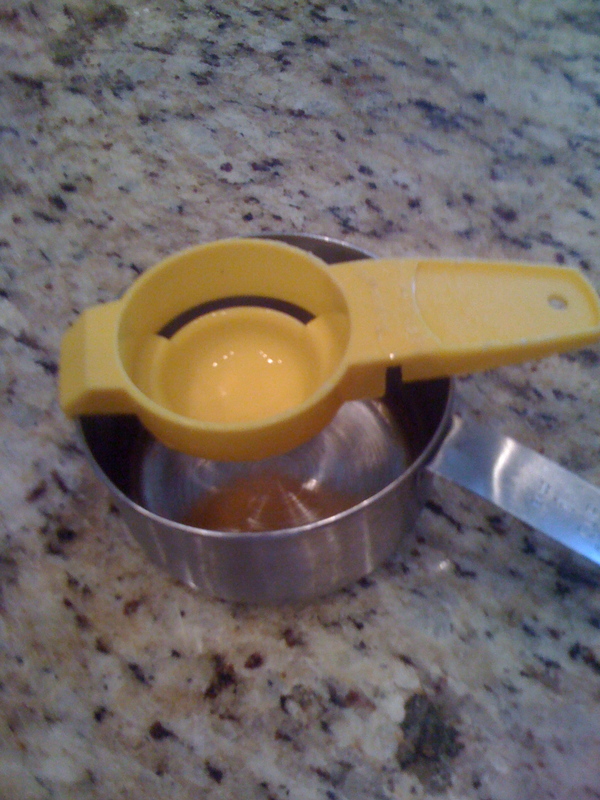 Someone sent me a note that you can purchase the egg separator on Amazon for $4.99... and to think I saved all that money by getting mine for free at a Tupperware party all those years ago. That's it! Super easy and really delicious. I think my husband doubles the ingredients so it is thicker. Thanks. It does seem easier! I appreciate having this simple recipe! Mystery solved! My sister, Rossie, remembered the cookbook was a gift from a neighbor, Mrs. Price. It was a thank you gift for Mom's kindnesses to her over the years. I knew she didn't purchase a cookbook for herself!! I knew her too well! !